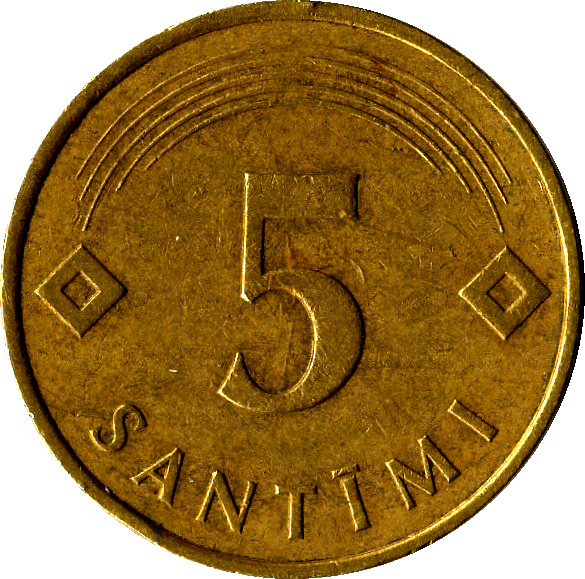 The numeral 5 is centered on the coin. 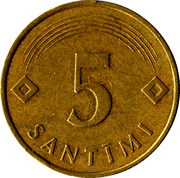 The inscription SANTĪMI, arranged in a semicircle, is beneath the numeral 5. 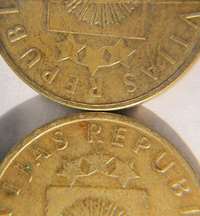 Above the numeral, five arcs join two diamond-shaped suns which are located on either side of the numeral 5. 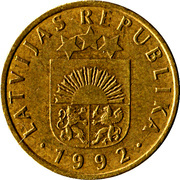 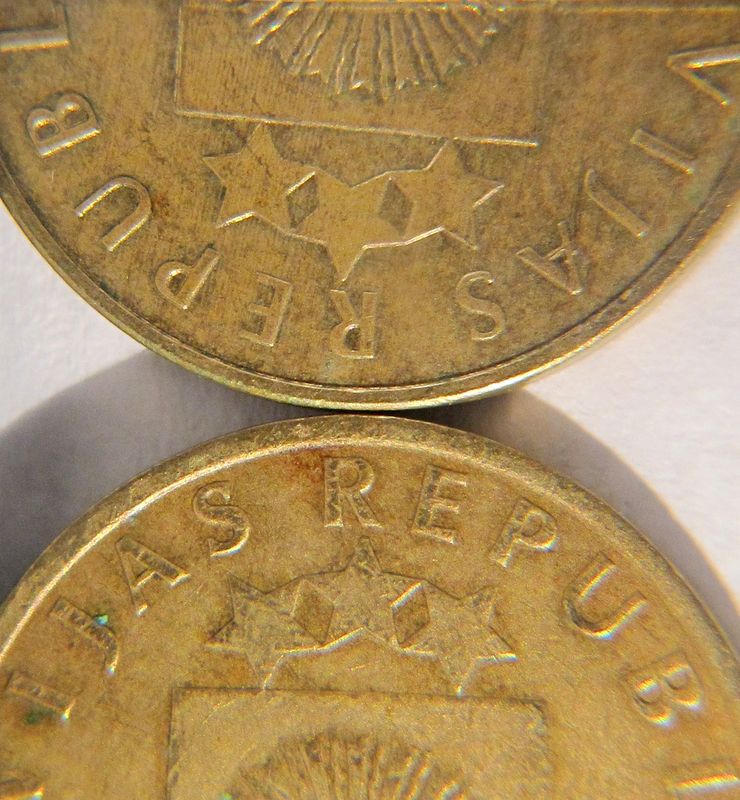 Difference between the 1992 and 2009 versions (1992 down).